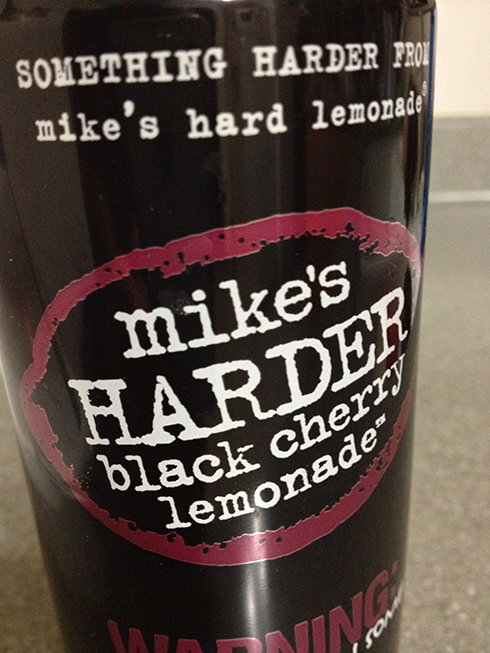 I’ve been a fan of Mike’s Harder Lemonade for many years now. Unlike the regular Mike’s Hard Lemonade, which outside of Utah is 5% alcohol content by volume per 12 oz serving, the Harder brand is 8% alcohol content by volume per 16 oz serving. This is what I like to call a “get the party started” drink. These are mostly available to me in Nevada, which is either a two-hour drive west of where I live or a five hour drive south to Mesquite. I find them at any corner gas station in this small Nevada town 70 miles north east of Las Vegas for around $1.80 a can. The taste is a bit sweet, but with that much alcohol per serving, I really don’t concentrate on the sweet after downing the entire can in less than 40 minutes. What I care about is the buzz I get from this. The taste is good and they make other flavors [Lemonade, Cranberry Lemonade, Blueberry Lemonade and the hard-to-find Limeade] which are different levels of sweetness, but carry the same alcoholic kick. If you have these in your area, consider yourself lucky you don’t have to travel far to have one these. I travel to Nevada at least 4 times a year and always pick up at least 8 of these and ration them until my next road trip. If you’ve not tried them yet, I suggest you try at least the Cranberry flavor. If you have tried them, post a comment below and let me know your thoughts on how you liked them (or didn’t like them).